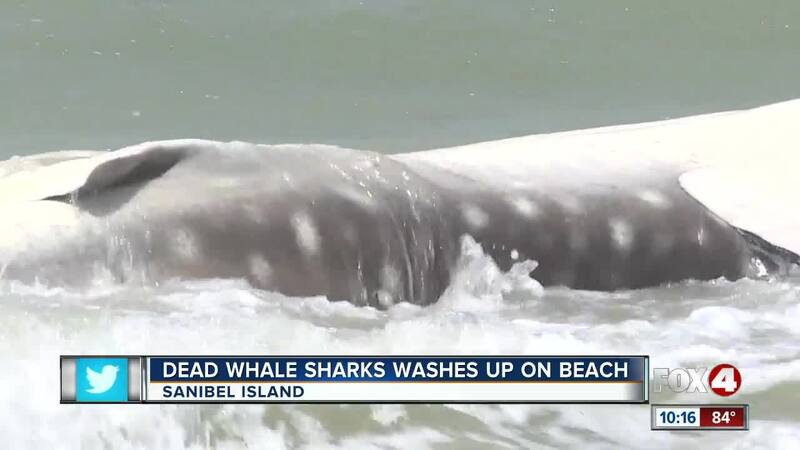 SANIBEL ISLAND, Fla. --- A whale shark was spotted on the shores of Sanibel on Sunday morning. Fox 4 spoke with a Marine Biologist, Rebecca Mensch, who says the whale shark was spotted around 10 p.m. close to 3215 W. Gulf Drive in Sanibel. Mensch also says it appears the whale shark may have died overnight. Florida Fish and Wildlife Conservation Commission came and removed the whale shark. A team of Marine Biologist will perform a necropsy on the whale shark after water tides become calm.